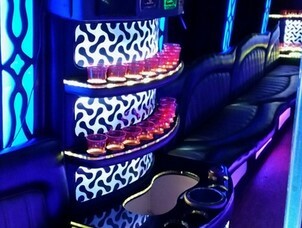 Party Bus in Troy, MI | Biggest selection of party buses available from 20 passenger all the way up to 60 passengers. 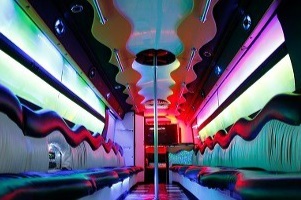 Whether you want to do a bachelor party, wedding or Tiger's Game. We have over 25 years of experience to do your event right. 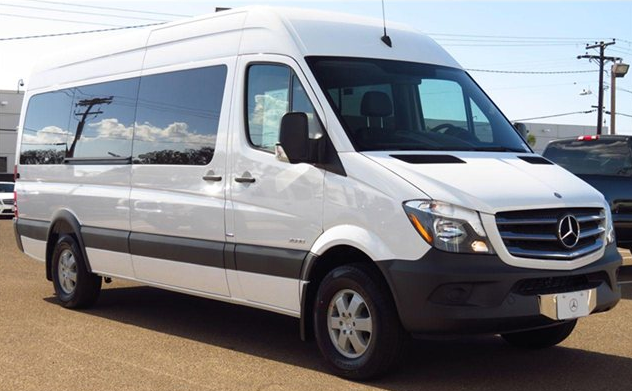 We manufacture and build limos and party buses so our vehicles are newer & nicer than competition, having access to the largest fleet in Michigan & 8 different offices in Tri-County, we will beat any competitor's quotes out there. 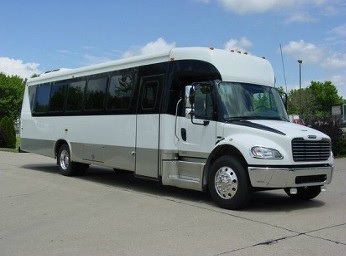 This is one the bigger party buses in Michigan and ideal for Tiger's Game or Greek Events for Oakland University. 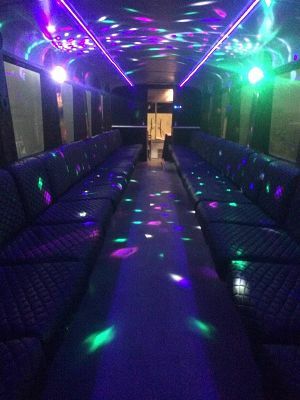 Premium lighting & sound system, make this bus the ideal way to transport 50 people in a funnest possible manner, you wouldn't want to get off the bus because it'll just be a great party inside. 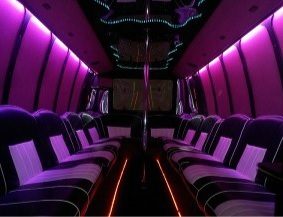 It gets booked quickly for major holidays so call today to reserve ASAP. 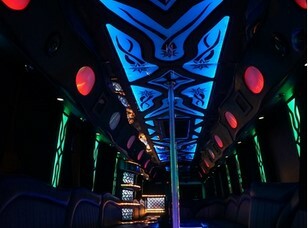 We give the best party bus deals in Troy, MI. 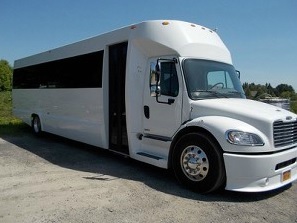 This is a High-End, luxury party bus that we use for weddings. 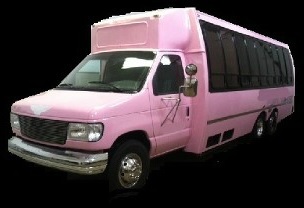 It has great leather seating and high-end interior finish, dance pole is optional. 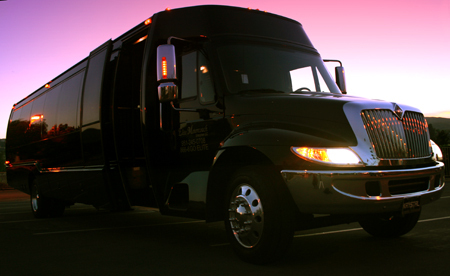 We put all the goodies inside including premium surround sound system, LED & Fiber Optics & Laser Lighting, Iced Bar, Wooden Floors, & Plenty of room with limousine style wrap around seating. 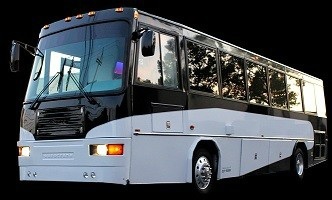 This is the best 40 passenger party bus in Troy, MI hands down. 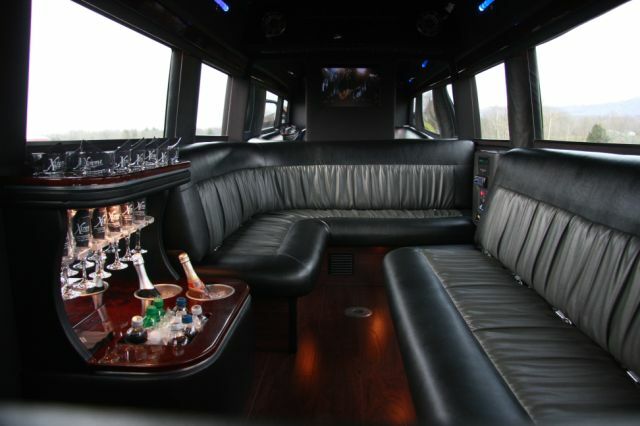 Troy Michigan's premiere Crystal Party Bus with really nice interior, 2 tone leather seating, optional dance poles, flat screens, Fiber Optic & Laser Lights, Premium Bass & Sound System. 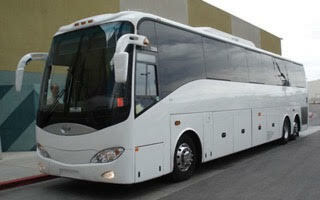 As limo & party bus manufacturer we turn over many vehicles each year, so our fleet is always very nice quality. 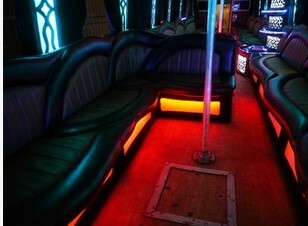 Luxurious Limousine Interior with wrap around leather seating, fiber optic lighting, Optional Dance Poles, Premium Sound, & Cooler for your Drinks.